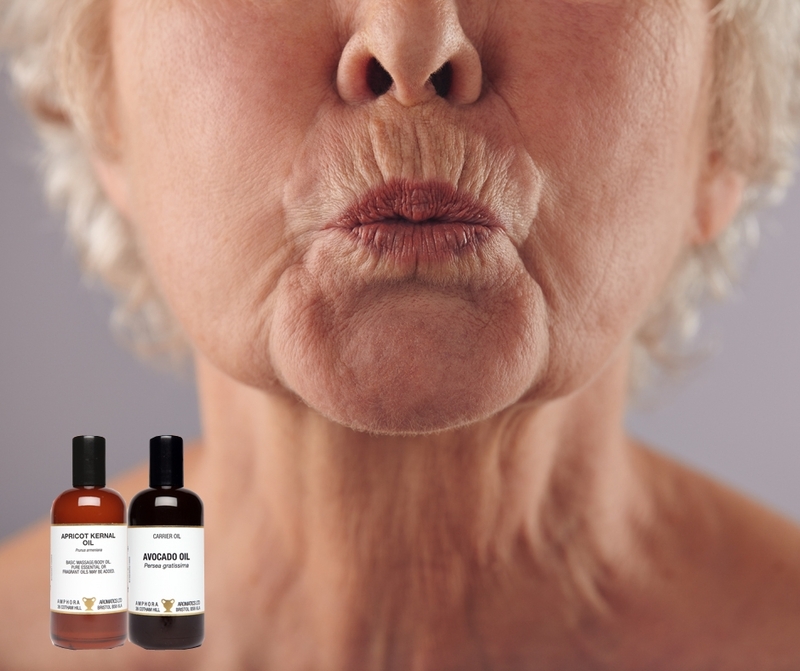 Mature Skin Oil Cleansing Blend - Amphora Aromatics Ltd – Supplier of pure essential oils and aromatherapy Products. The first in a series of Aromatherapy skincare blogs from our resident Beauty Therapist Sophie Rouse. Sophie starts with this cleansing method for mature skins. Click to read more. In this blog I’ll be explaining how simple it is to make your own naturally effective skincare products at home. My aim is to help you save money and time and to help you achieve a glowing, naturally healthy complexion. With such a wide range of natural ingredients available nowadays it’s comparatively easy to come up with a blend that suits your particular requirements. A good skincare routine starts with proper and effective cleansing. This helps to remove excess oil, perspiration, dirt, dust pollution, make-up and dead skin cells from the surface of your skin and allows it to breathe properly. I find it best to cleanse morning and night with a double cleanse at night to remove make-up and the build-up of residue from the various elements that bombard our skin every day. This way I can be sure that my skin is a cleansed as possible before I head off to bed. There are a few cleansing methods to choose from but one that is becoming increasingly popular is to cleanse using a carrier or vegetable oil. I know from personal experience that this works very well so I thought I’d share it with you! This method is a very simple and effective way to cleanse your skin gently and thoroughly using only oil. You may be put off by the thought of cleansing your skin with oil. After all, we wash our face to remove that greasy feeling so why would you want to put more oil on your skin! Well, like dissolves like. So, it follows that oil dissolves oil. This blend will benefit oily skin hugely and can also help to balance combination skin and moisturise dry skin. Apricot Kernel Oil is a light, emollient oil that is rich in Vitamins and Minerals and is recommended for mature, sensitive and inflamed skin. Avocado Oil absorbs easily into the skin and is transported deep into the tissue. A very thick oil that can be a little too heavy if used on its own which is why we’re diluting it in Apricot Kernel oil. Both oils are practically odour free. A good ratio to work with is 3:1 ratio Apricot Kernel to Avocado Oil. So, to make 10mls of your blend you’d need 7 mls of Apricot Kernal and 3 mls of Avocado Oil. It’s best to start with smaller amounts to make sure that each one you try is suitable for your skin. Once you’ve established which oils are the best for you then you can start to make larger quantities. The oil cleansing method can be used as a great make-up remover so you save time by not having to pre-cleanse. Dampen your skin with warm water and then pour a little of your blend into the palm of your hands. Rub your hands together to warm the oil before applying all over your face. Massage gently in circular motion over the face for 30 seconds. This will help break down and loosen any makeup and dirt that is on the skin. Finally, hold a warm wet cloth over your face for 10 seconds allowing your pores to open. Then slowly wipe off the oil. Rinse and repeat until all oil is removed from your skin. Cleansing your skin with oil is a great choice for your night time skincare routine as it gives the deep, thorough cleanse often required by skin. I would recommend using this method at night. If you feel your skin doesn’t need such a regular deep cleanse then try using this night time cleansing blend 2 or 3 times a week as a treat for your skin. You’ll soon feel and see the benefits! In the mornings you can just use a more gentle cleanser. I’ll be posting another blog soon with a lovely recipe for a morning cleanser blend. Remember that you will need to choose the right oil to suit your skin. You can blend different oils together to create an oil cleanser that works for you. If your skin feels too oily, itchy or irritated after cleansing then make sure you are rinsing properly (no oil should be left on the skin once you have rinsed). The temperature of the water is also important. If it’s not warm enough then the water will not loosen the oil and it will be difficult to remove. You can also try using a different carrier oil. It may be that you’re sensitive to the one you are using. Natural ingredients that work for your friend may not work for you – everybody’s skin is different and so it’s worth taking the time to find the oil that suits your skin the best. For example, if your skin feels dry after cleansing you may need to choose a more moisturising oil like Jojoba or Argan. It may take a week or two for your skin to adjust to this new cleansing method. You may also find that as the impurities that have built up over time leave your skin you suffer from a few breakouts in the first week or so. Do try not to be tempted to go back to your old cleansers at this time as your skin will only take longer to adjust to cleansing with oils.